Many of the Technical Analysis Techniques Featured in Higher Probability Commodity Trading, are also Highlighted on Mad Money, hosted by Jim Cramer! Along with authoring several books on commodities, Carley Garner is a long-time contributor to TheStreet.com and Real Money, founded by Jim Cramer. 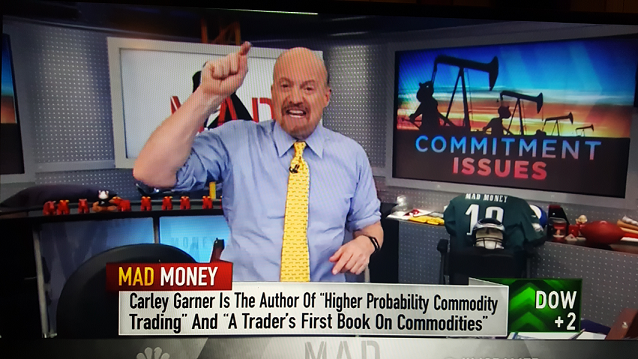 Over the years, Cramer has designated Garner as his "go to" person for commodity market analysis. Accordingly, he frequently features her analysis in a segment titled, Off the Charts. Below is an example of her futures market chart analysis on Mad Money, click here for a full archive of media appearances.